The updated login screen viewer has made it past the experimental / project viewer status and is now a release candidate viewer, version 3.7.16.294345. 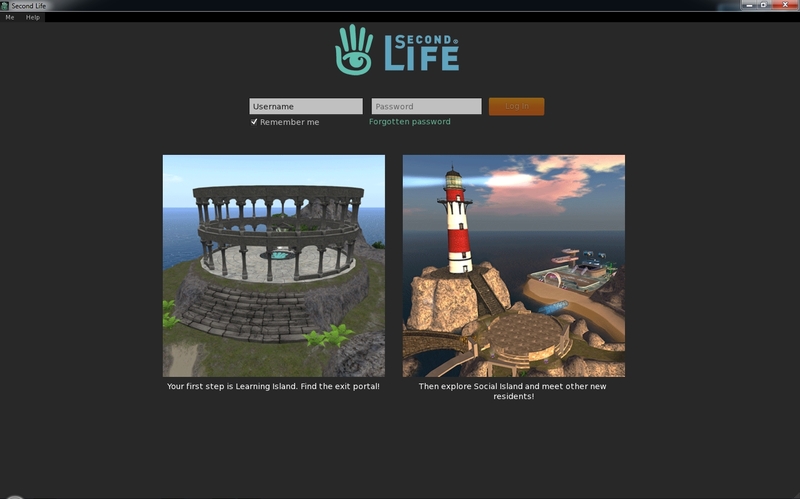 This viewer, which I previewed while still a project viewer, features two log-in splash screens, one of which is seen by users logging-in to SL for the very first time, and one which is seen by returning users. 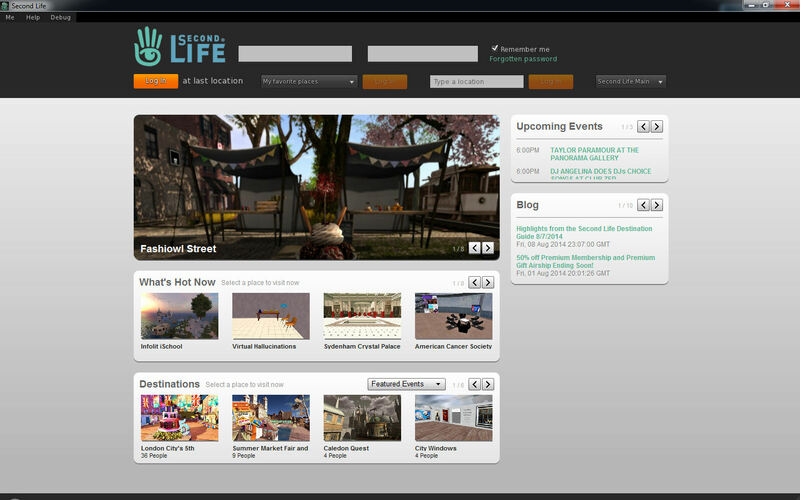 The “new user screen” provides a couple of hints as to what to expect when those coming to SL for the first time log-in. The updated log-in screen which is only seen by a user logging-in to SL for the very first time, and which provides some information on what to expect. The more “regular” log-in screen which is seen by returning users (i.e. those who have previously logged-in to SL), has the log-in criteria fields moved to the top, and introduces a few changes, which I described last time around, but will re-cap here for convenience. The familiar Type a Location text entry box, allowing you to type-in the name of a specific region / sim to which you want to log in – this now works if you type a location and tap ENTER rather than having to then click the Log-in button. Note that on computers which are used to access Second Life with multiple accounts, the user name field now has an auto-complete function based on the initial letters of an avatar name entered into the field (providing Remember Me is checked). However, do note that this does not extend to the password field, which is not auto-completed on the basis of the user name field. When logging-in with different accounts, you will still need to manually enter the password for the account you’re using. We’re going to be putting forward some changes to the newbie log-in screen and then the subsequent returning user log-in screen. They’re going to be gradual, and sometimes not as beautiful as we might like all at once; however, you can be assured that they’ve all been tested and that they perform better. If this does mean further updates might be appearing down the road, it’ll be interesting to see what form they’ll take. With thanks to Gibson Firehawk for pointing out the log-in auto-complete and location fix. Will Firestorm still be able to autocomplete passwords? LL’s update shouldn’t affect how TPV’s present their log-in screens and functions; so the likelihood is the Firestorm log-in screen will continue “as-is”, with all the current capabilities. Since then it seems like the Project Viewer has become the same as the Official Release Viewer, or at least that those features have been released. Do you know if the project viewer is still different than the release viewer? And I don’t suppose you know, but if the Post 2 Twitter / Flickr features are “official” then would they be rolling over to Firestorm in some future update? The short answer to your question is no, the project viewer for the SL Share capabilities is no longer relevant, nor is it being updated – because the features are in the release viewer. If LL were to enhance those capabilities, then they would introduce a completely new viewer dedicated to the updates as either a project viewer or a release candidate viewer, or possibly within a package of updates to the viewer which would most likely appear as a release candidate viewer. Release candidate viewers are in essence, viewers that are more-or-less ready for release, but the Lab wants to expose them to more widespread use as a final step in testing them prior to “formally” releasing them. There can be several release candidates available at one time. The Lab monitors all of these release candidate viewers, and every two weeks they will “promote” one of them to become the de facto release viewer, and everyone using the official viewer is updated to that viewer through the automatic update process or by manually installing it from the main download page. In the case of the SL Share capabilities, for example, they started as a project viewer, then progressed to a release candidate viewer (and which point the project viewer version was essentially dead), and then the release candidate version was “promoted” to (aka officially became) the release viewer. Quite what initially emerges as a project viewer and what goes directly to a release candidate status is up to the Lab. Broadly speaking, however, completely new capabilities or new functionality in the viewer tends to go the project viewer > release candidate route; maintenance fixes, third-party updates, bug fixes and do on tend to appear as a release candidate viewer, skipping the project viewer stage. And finally… yes, the SL Share 2 capabilities for posting to Flickr & Twitter will more than likely be emerging in a future release of Firestorm. Thank you, as always, Inara! You’re welcome. Hope it made sense!